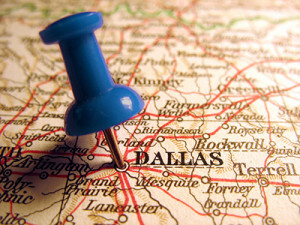 Attorneys-Dallas.com helps you find an attorney or lawyer in Dallas and its suburbs to help with your legal problem. All of the attorneys and lawyers listed on this site are members of the North Dallas Bar Association. We can help you with legal problems anywhere in Texas. We make it easy to get answers to your legal questions! Please look at the practice areas on the right side of this page, click the one that best fits your question, and select a lawyer listed under that practice area. If you have a legal problem that is not covered by one of these categories, or if you’re not certain which to choose, you can click the “Contact Us” button near the top of this page. Just enter a brief description of your legal question and we will get back to you as quickly as we can. The North Dallas Bar Association referral service is certified as a lawyer referral service as required by the State of Texas under Chapter 952, Occupations Code. Certification Number 9402. Therefore, all members have agreed to charge no more than $20 for an initial 30-minute consultation. Please understand this does not mean members are obligated to give consultations unless they believe they can accept a potential case. If you are an attorney, please consider joining the North Dallas Bar Association. Find out about our membership, meetings, and who is in the North Dallas Bar Association. There is no geographical restriction to joining our association. You must be a member of the North Dallas Bar Association to be listed on this site. We also provide monthly continuing legal education meetings for our members.